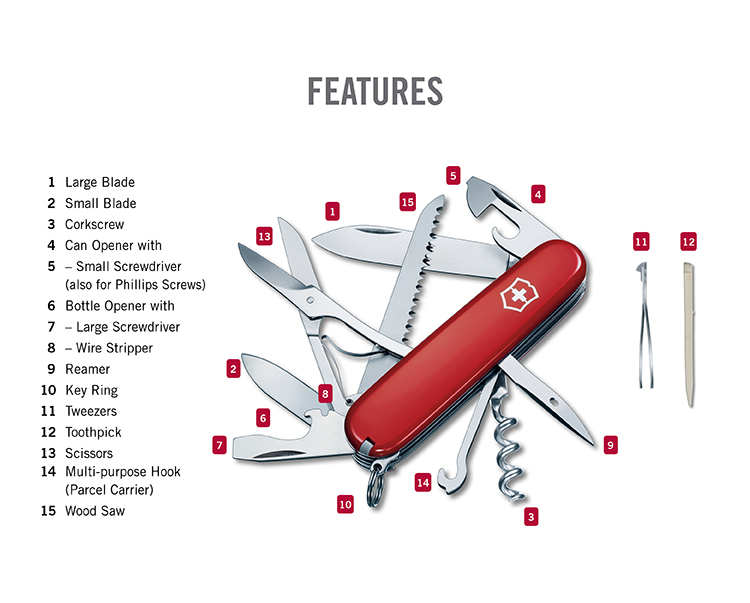 The Victorinox legend continues with the Huntsman pocket knife. With the addition of scissors and a wood saw, you're ready to cut through just about anything. When it's time to go offline and off the beaten path, you'll want the Huntsman in your pocket.